WITH barely 11 days of grandeur and beauty, this year’s Christmas Season episode will be kept in our treasure chest of everlasting memories. Rev. Fr. Domingo “German” Ledesma, parish priest of the Loakan Airport Barangay Church of this city, spearheads the Distinguished 12 Most Outstanding Senior Citizen Luminaries who will receive the prestigious “Gintong Tala Award” for exemplary leadership in their respective profession, career or vocation and their most outstanding participation in community development activities either a member of civic-minded organizations or as individual volunteers. Rev. Fr. 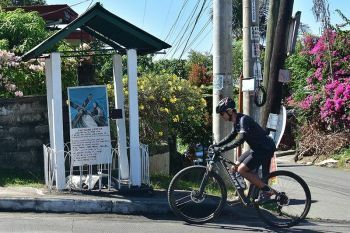 Ledesma was the former Spiritual Adviser of the Shrine of the Brown Madonna, along Km 7, Asin Road, Tuba, Benguet and the National Correspondents Club of Baguio from 2003 to 2016. 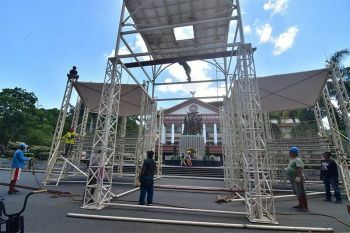 The awards program is set at the Baguio Sunshine Park during the Baguio Balikbayan Day celebration on December 29, starting at 9 a.m. The other prominent awardees are former Benguet Province Governor Nestor Fongwan and Cordilla Lacsamana, retired City Environment and Parks Management Office, Baguio City in the field of government service. For the first time in the 14-year tenure of the awards project, medicine couple practitioner Dr. Edison V. Noble, MD. And his charming wife Dr. Purita Cham Noble, MD., will receive the field of medicine plum. Dean James Malaya, founder-president of the Cordillera Career Development College (CCDC) in La Trinidad, Benguet gets the field of education prized trophy. Retired City Tourism Officer of Baguio, Benedicto Alhambra will get the Tourism and Special Events prize while National Artist Ben Cabrera gets the Arts and Culture Award for the famous BenCab Museum at Km. 6, Asin Road, Benguet. Mrs. Rebeca N. Domogan, president of the Soroptimist International, City of Baguio will get the award for Civic-Social and Fraternal Community Development Service while businessman Ompong Tan, proprietor and General Manager of Colorworld Graphics Processing along Session Road will receive the top award for Business and Trade. Veteran lady writer Katleen Okubo, editor of Northern Dispatch was cited top journalist of the year 2018 while another Cordilleran Hector Begeo, a former of Team Philippine Track and Field squad gets the Sportsman Superstar trophy. Begeo, an original cast from the Gintong Alay rank and file was in the Team Philippines Olympic delegation to Barcelona, Spain, Seoul, South Korea and the Los Angeles, U.S.A. He hails from Besao, Mt. Province but is presently a resident of Magandang Baguio. The selection and screening committee officers are Director Helen Tibaldo of PIA-CAR, OIC Eileen Refuerzo of the city’s PIO at City Hall, Edong Carta, president of the Cordillera Broadcasters Alliance, Dobie de Guzman, ABS CBN anchorman of TV Patrol, NL, CSWDO head Betty Fangasan as Adviser and yours truly, NCCB president and project founder as the Executive chairman. City Mayor Mauricio Domogan and Congressman Mark Go are Honorary Chairmen. The award presenters are Mayor Domogan, Congressman Go, Vice Mayor Edison Bilog, City Councilors Benny Bomogao and Faustino Olowan, City Administrator Atty. Carlos Canilao and the Filipino-Japanese Foundation of Northern Luzon, headed by Director Arnel Cabanisas. Meanwhile, on target are the search of the Lucky Christmas Day Baby, hosted by Baguio Balikbayans Josie Delenila and her late husband, together with member associations from the Baguio Elderly Assembly (BARP Foundation, FBASECA, PGRA, Baguio Chapter, USAFIP NL and the PVF, Baguio District) will visit the lucky ones at the BGHMC free ward to present Christmas gift items to mother and child. The gift package includes 5,000 from the Delenilas, baby clothings, blankets, food items, fruits and one cavan of rice from the CSWDO on Dec. 26. The same gift package will be given to the city’s lucky New Year Baby, boy or girl, sponsored by the same group with retired US Navyman Angel Villalarvo and family as the main sponsors of the offering. A special Silahis ng Pasko sa Baguio Holy Mass will be held at the city’s historic Judge Malcolm Square on December 27, billed at 4 p.m. The Holy Eucharist is hosted by the Saint Vincent Parish Church at Campo Filipino with its Paris Priest Rev. Fr. Jeffrey Hubaldo as the celebrant. 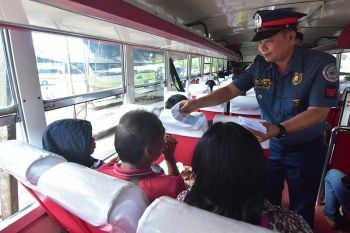 The attendance of all Senior Citizens organizations from the city is being coordinated by the BEA and the City Social Welfare Development Office and OSCA. Of course the general public is cordially invited to the Holy Mass, courtesy of Rev. Fr. Jeffrey and his associates at Campo Filipino. Join us and celebrate the series of activities. Here is wishing one and all a very Merry Christmas and a Blessed New Year 2019. Let us make 2019 more prosperous and more meaningful! I hope my associates in the media Harley Palangchao of the Baguio Midland Courier and Roderick Osis of Sun Star Baguio are burning candles like me preparing for the Baguio Balikbayan Day celebration on Dec. 29. The two sportsmen writers with freelance journalist and sportsman Pegeon Lobiena are preparing the Kafagway Kordilera International Sports Luminary awards Pdim (KKISLAP) set on Baguio’s Balikbayan Day celebration, next Saturday at the Sunshine park to honor the Team Lakay MMA luminaries in the international cage with Mark Sangiao at the fore and sportsman boxing coach promoter Brico Santig and his core of international boxing champions. Wushu international stars as well as the taekwondo gold medal achievers and marathoners will be there with us. December 29 surely is a big bonanza red letter day for sportsmen and their supporters. Be with us at the Sunshine Park!